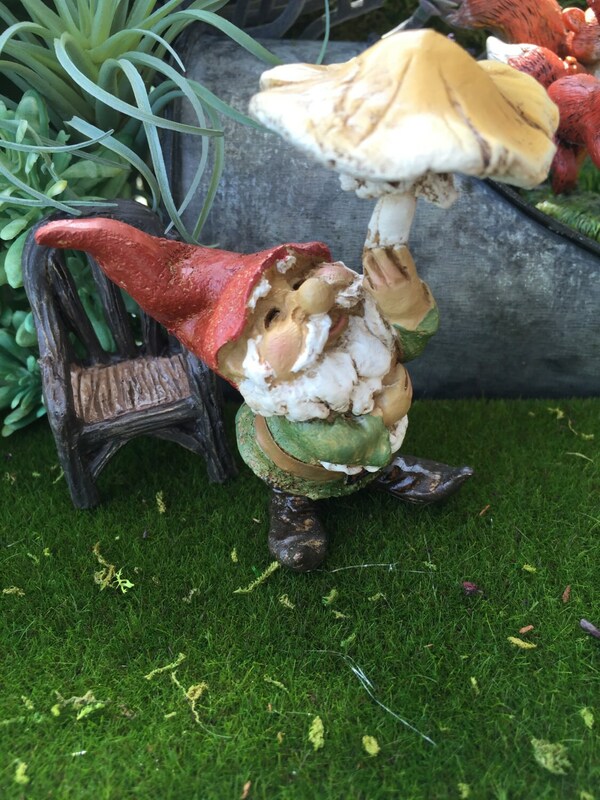 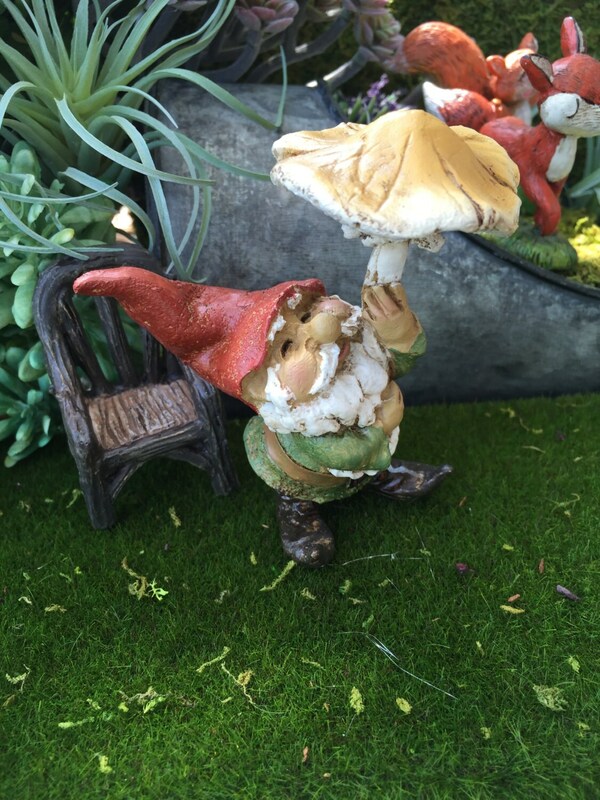 Adorable, detailed, garden gnome figurine. 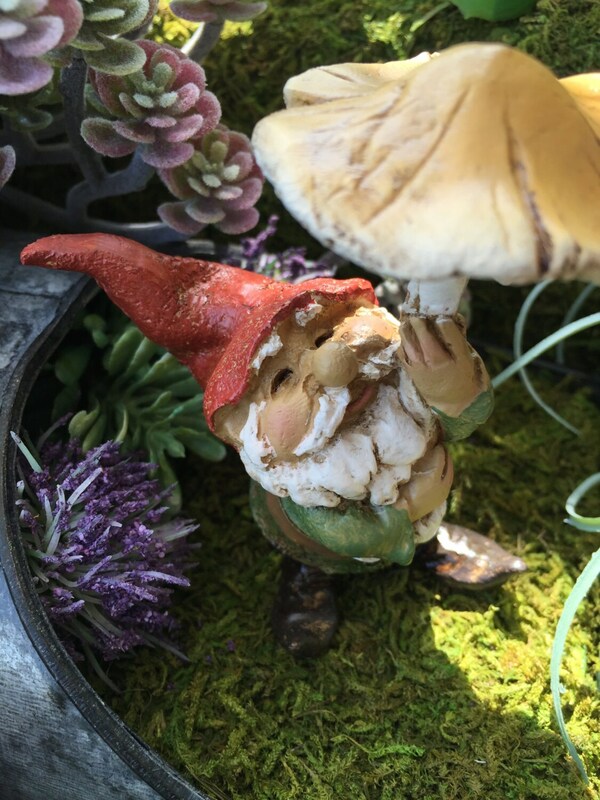 Look at his happy face. 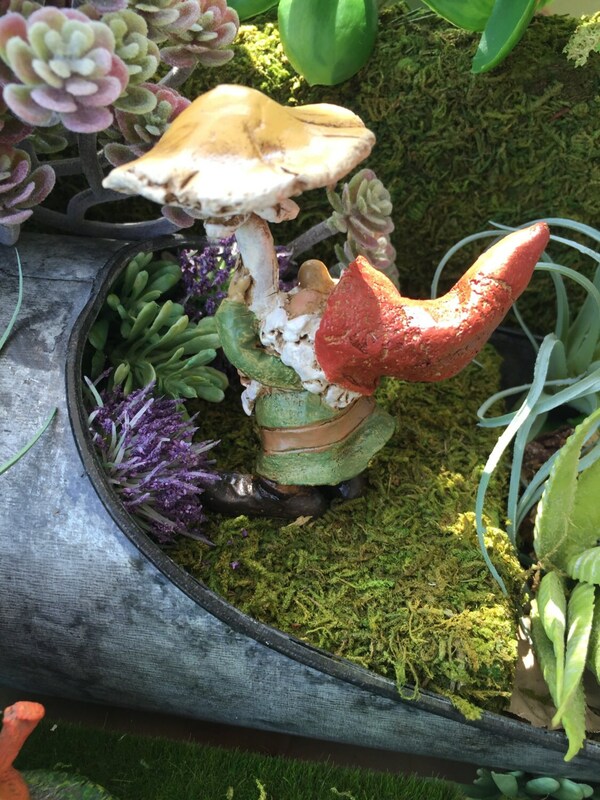 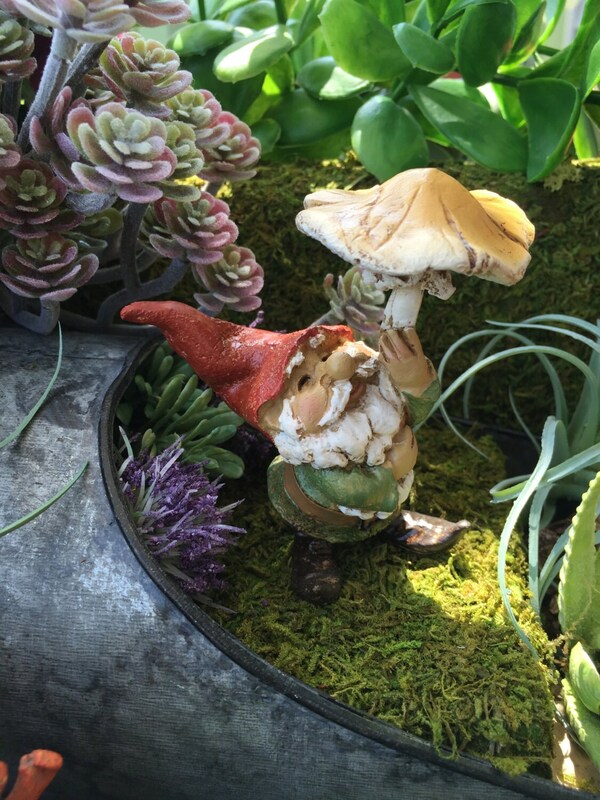 No matter the miniature world-whether it be a terrarium, diorama, fairy garden, or gnome village-wiggle the bottom of his grand rock base into the dirt, gravel, mosses and grasses, or mulch, and let this sweet character bring your miniature scene to life!